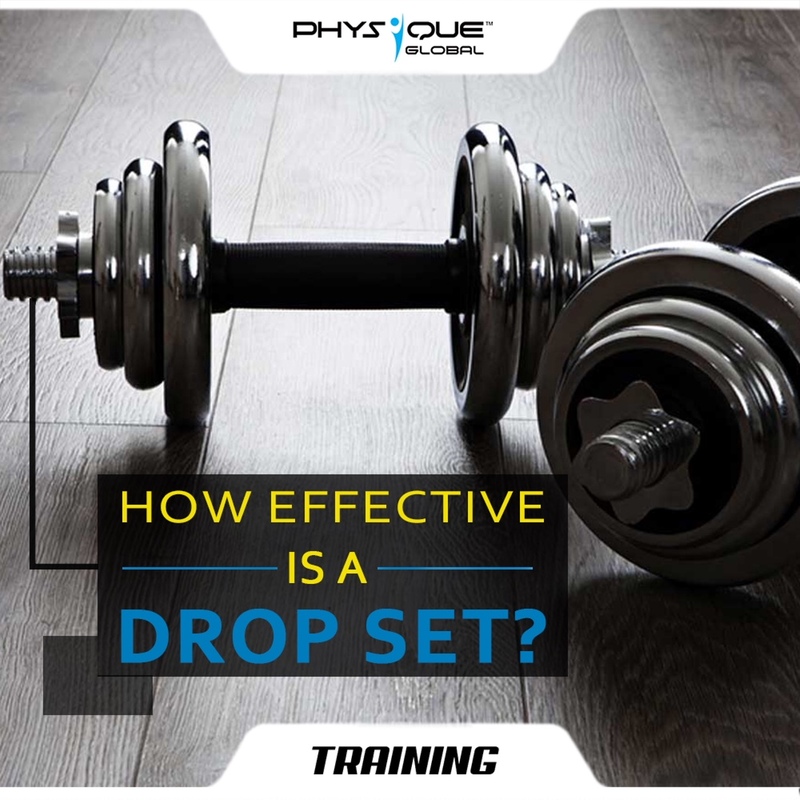 How effective is a drop set? Home · Physique Global Article · How effective is a drop set? Drop sets are considered one of the best ways to build muscle mass. Here, you start with a weight heavy enough to challenge you, perform some reps, when you reach failure, you reduce the weight by 25 to 30% and continue to perform reps. By continuing an exercise at a lower weight, you force your muscles to work as hard as they possibly can, thereby increasing muscle size and endurance. Drop sets can be easily integrated into a weight training schedule and can be applied to a variety of different training methods to achieve hypertrophy. Drop sets target both your fast twitch as well as slow twitch muscle fibers simultaneously to the point of failure. If your mission is to shred fat, build muscle, and transform your body, drop sets can help you reach your goal in less time than the typical lift-heavy approach. With drop sets, speed is not of the essence. It’s all about increasing the overall workout weight, sets and reps. Drop sets are a good plateau buster if you’ve reached a point where you’ve stopped seeing gains in lean body muscle mass. Maintain your form and focus until the very last repetition is done. To get the most benefits, don’t rest more than 5 seconds between each set. Always remember to go hard on the first set – if you drop the weight before you’re fatigued then you’ve made an easy set even easier, which offers little benefit. Drop sets will shock your muscles, so you need to be careful in order to avoid injury. The first time you use drop sets, use lighter weights than you normally do, because you’ll be doing more reps.